Koombea, a Web and mobile development company specializing in Slack integration, has launched a public beta of Convergely, a suite of productivity tools designed to enhance Slack.com, the team communication app. 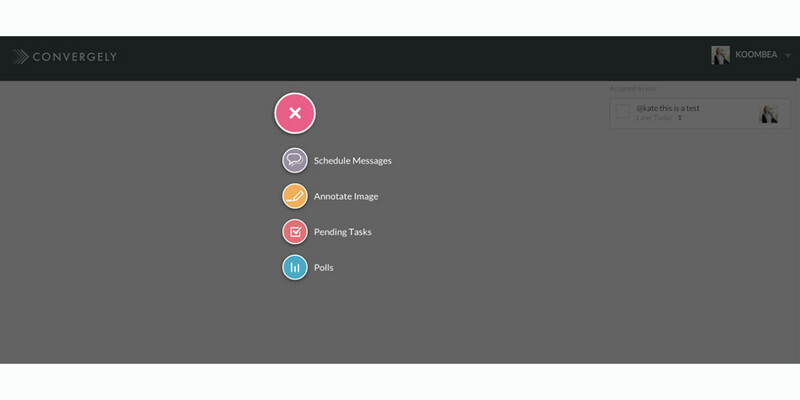 Convergely gives Slack a range of new functions including time-zone responsive message scheduling, an auto-responder system, the ability to annotate and send images, task assignment and a group polling feature. Users can get started with Convergely by integrating the app to their Slack accounts. “Integrations are so important overall for Slack that they’re the biggest differentiator between the free and the paid tier,” said Jonathan Tarud, Koombea CEO. “There are things people are really used to doing in email like scheduling messages to your team at certain times, that this takes it to the next level. We’re building a small echo system of apps to extend that functionality” for a wide variety of businesses from HR to PR to design agencies and more. Convergely is currently in freemium mode, but the company intends to charge for the service in the future. To integrate, you can sign up on the Convergely page using your Slack account.